(NaturalNews) After years of horror stories and hysterical cautions by many media outlets about the harmful effects of the sun and the necessity of slathering on plenty of high SPF sunscreen, the benefits of the vitamin that humans make from their exposure to it continue to mount. Evidence of a vitamin D deficiency, and its link to a number of health conditions, continues to grow. This brings up the need for a sensible plan designed to gain the necessary exposure to the sun as required for good health while also offering the necessary protection. Vitamin D has been shown to have a large palette of benefits. These range from the way a body can feel healthy on a day-to-day basis as well as for the long term. For example, ensuring that there is enough vitamin D increases the ability of the body to fight off infections. These could range from the common cold, the flu, pneumonia to other, more serious health concerns. People with chronic diseases can also improve from having enough vitamin D. People with Type 1 and Type 2 diabetes, autism, heart disease, stroke, Alzheimer's disease and more have seen an improvement with their outlooks when they were exposed to the right amounts of this crucial vitamin. The benefits of vitamin D are not simply physical, however. 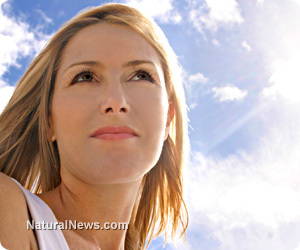 Vitamin D has been linked to a reduction in depression. Studies showing that people who suffer chronic diseases, such as Type 1 diabetes and who were also showing symptoms of depression, showed improvement after increasing the amount of vitamin D they were exposed to. For some people, the winter limits their exposure to the sun for up to six months out of the year. Many researchers have found that a good substitute is to be exposed to artificial UB rays since studies have shown that this offers benefits to the health that go beyond the production of vitamin D. While many people think this gives them a good idea to hit the tanning bed, this might not be the best choice. Many tanning beds contain a magnetic ballast. This is what creates the buzzing sound that is commonly heard when a tanning bed is in use. These create electric and magnetic fields (EMFs) that can harm the body. A better choice for tanning beds are those that use an electronic ballast as they emit fewer of these EMFs. An adequate amount of vitamin D can be ensured with the proper exposure to the sun or the right type of tanning bed. For those people who find that neither of these solutions is satisfactory, a supplement containing vitamin D can be taken.